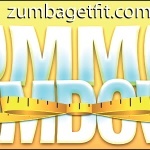 Who are ZumbaGetFit classes for? Everyone can Zumba®, no experience necessary. Just come along and Join the Party! Water bottle, small towel, and a smile. Wear comfortable clothing, and bring clean sneakers to change into at class. Can I bring my 12 yo. daughter to Zumba? Yes, come try it out together!